German Naval Zeppelin L-59 had been specially lengthened for code-name “China-Show,” and was longer than THREE Boeing 747s. It must have made quite a sight as it neared Khartoum and, hearing the faint “abort” message from naval command, turned back north again. The remarkable episode of a naval zeppelin, embarking on a one-way resupply mission, for an army campaign, was over… just one more example of historical events which sound too unlikely to be used for movies. But that could be said about every portion of Lettow-Vorbeck's campaigns in East Africa. Heavily outnumbered from the opening days of the War, the Swahili-speaking German commander only surrendered after being informed of the Armistice on the Western Front. 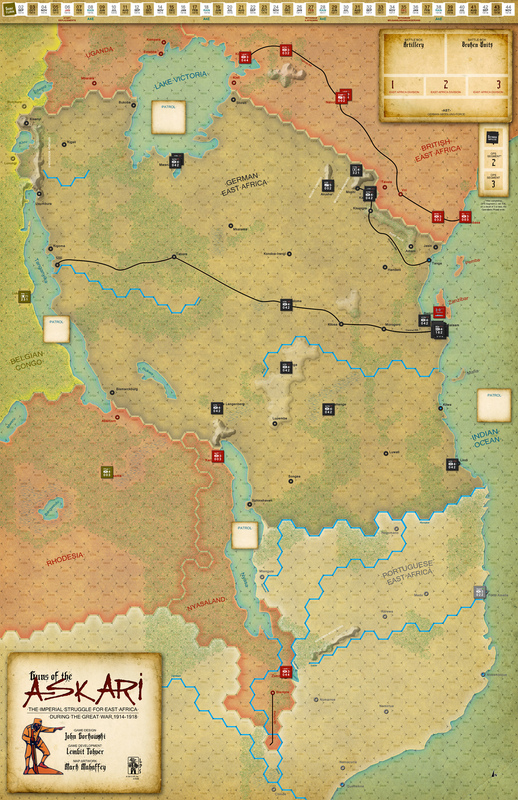 See the map and more counters for Guns of the Askari. 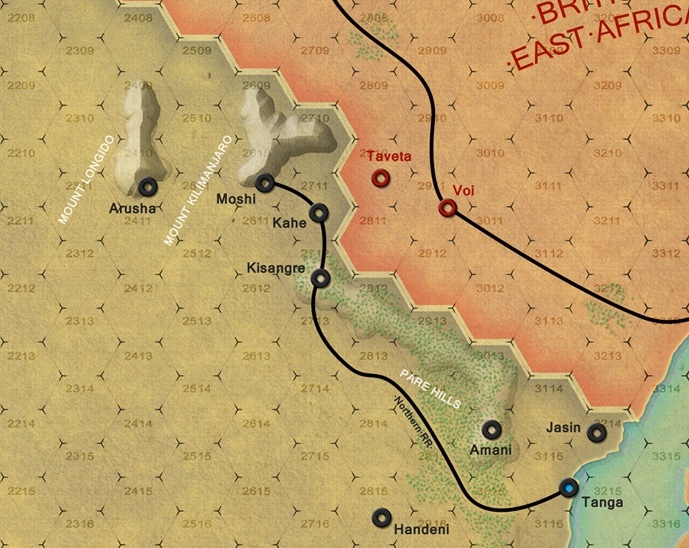 Download the rules for Guns of the Askari (in PDF format).